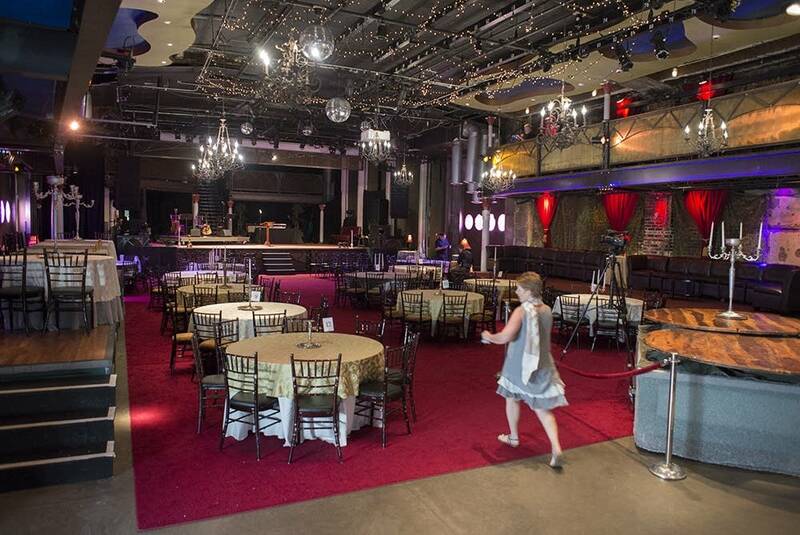 Having never been behind the scenes at a wedding before, I didn't know what to expect when I walked into the Varsity Theater on a recent Saturday afternoon. Passing several members of a wedding party, I slipped in about an hour before their ceremony, having been given permission to check out the venue's set-up. The thing was, I'd been to the venue several times before, but not as a wedding guest; rather, I went as a concertgoer. This time, I got to see and hear about several things that couples might not know about wedding venues. 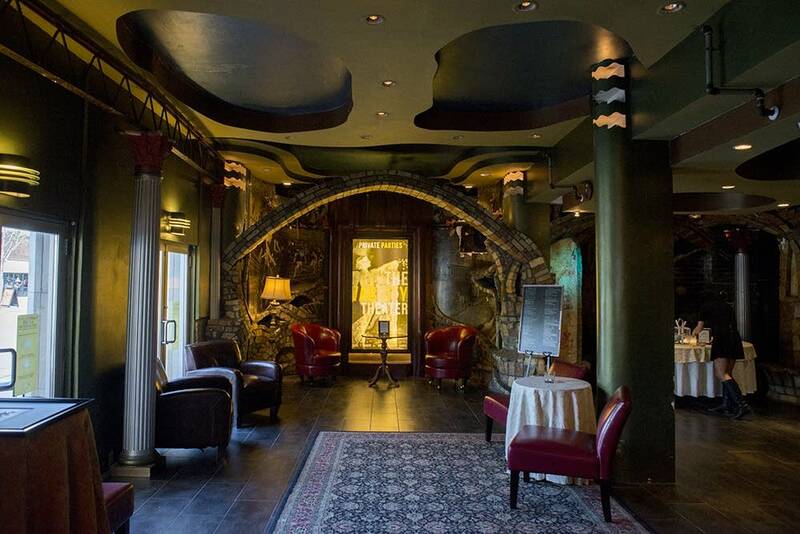 In Minneapolis, the Loring Pasta Bar is well-known for its elegant-jungle ambiance and great student discounts. 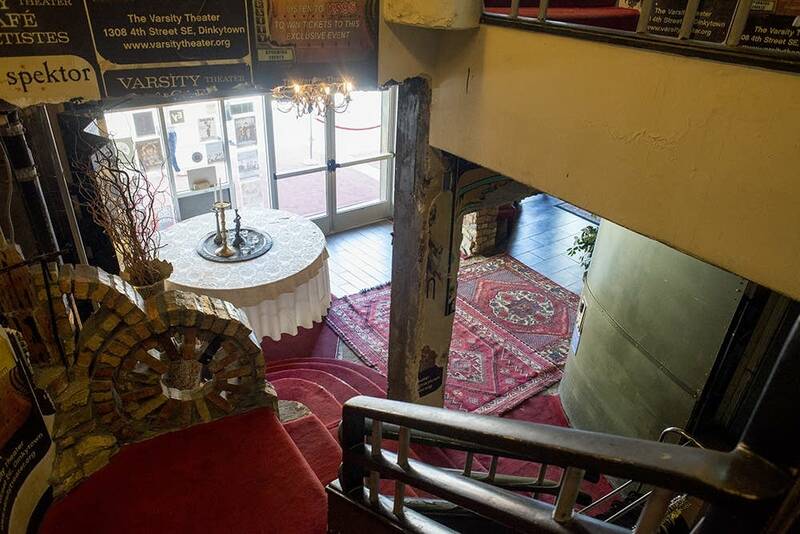 The nearby Varsity Theater hosts intimate concerts, as well as renowned bathrooms. 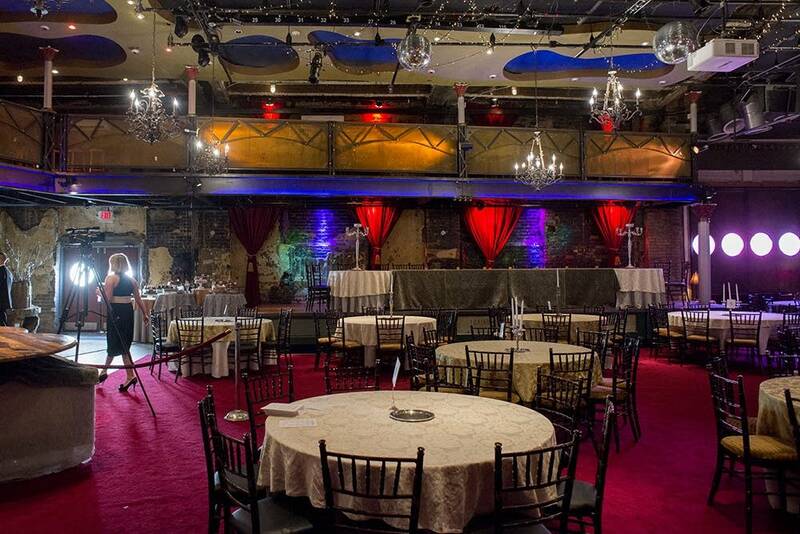 Often, the two venues team up to host wedding ceremonies and Loring-catered receptions. That Saturday, the couple used the Varsity for both their ceremony and reception, and the Loring remained open to the public. Space is particularly important to a wedding's feel and mechanics, so it's important to have a good idea of what you need before going into an event consultation. At the Varsity, proprietors recommend that couples with fewer than 100 guests use the "red room" space upstairs at the Loring so that the wedding feels cozy, not cavernous. Between the Varsity and the Loring, there are plenty of options concerning weddings' physical layout. Staff always sit down with couples, offering decoration suggestions and listening to ideas, and fun concepts grow out of those talks. According to event manager Kimberly Seymour, "Everybody has their own twist on what they do in the space." I could see the personal touches while wandering around the Varsity. Onstage, a trio of musicians rehearsed Paul McCartney's love song "Maybe I'm Amazed." 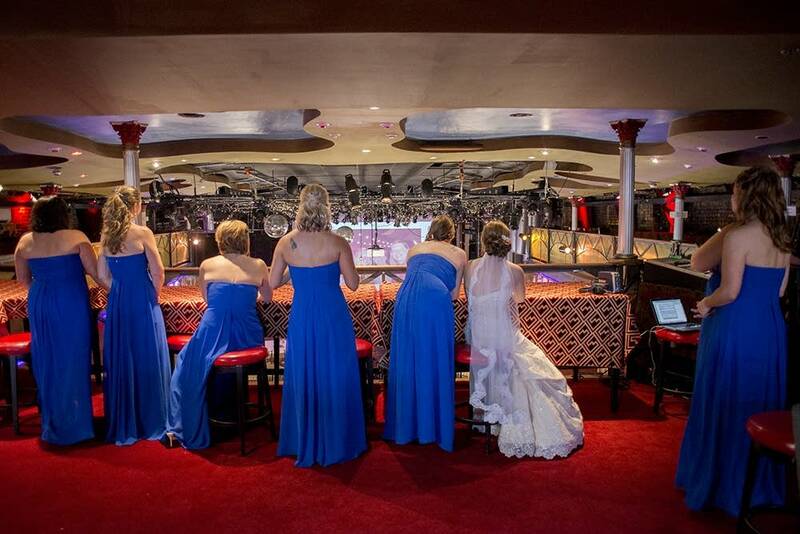 Bridesmaids in blue lingered by one of the theater's stone staircases, and Varsity staff hustled around, bringing a silver candelabra to each table. The same lighting effects that bathe rock stars swirled back and forth on the floor, and the theater's marquee read, "A FILM 10 YEARS IN THE MAKING: THE WEDDING OF GREG & VANESSA." Supplementing the personal twists, the Loring and Varsity provide decorations, place settings, linens, and candles. That's not a common venue perk, but it's definitely one to look out for. 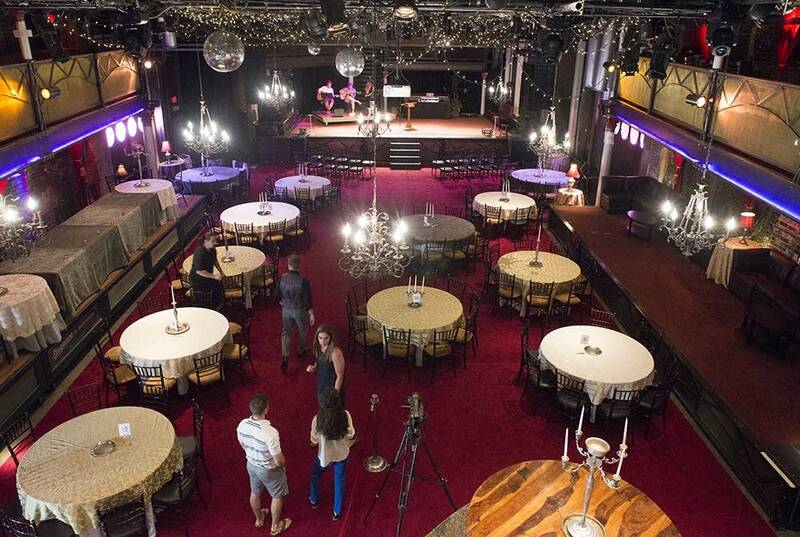 The Grand Hotel Minneapolis, another wedding venue, also has a few tricks up its sleeve. Up to 250 guests can dine on the hotel's fifth floor, which is closed to the public during weddings. For cocktail receptions, 300 can join in. The venue will only host ceremonies if there are fewer than 180 people. According to Jill Galera, the hotel's director of catering, a couple would typically sign a sequence of two contracts with the venue. Hypothetically, a couple selects the Grand Hotel. They receive an agreement to sign. "If they move forward with the [first] contract, they have two weeks to sign it and send that back"; and they must also send payment for 25% of the venue's food and beverage minimum, which is fairly typical in the wedding business. Then, the couple is free to set up a tasting with the hotel, trying salads, hors d'oeuvre, and entrees. A second, more specific contract, containing precise plans and food details, follows. Galera stressed the importance of communication among different teams working a venue. "A lot of pre-planning is involved to make sure that we have everything pulled and organized," she said. The sales team has to fill in the events team, who will coordinate with food vendors as well as staff the event with six to ten employees. 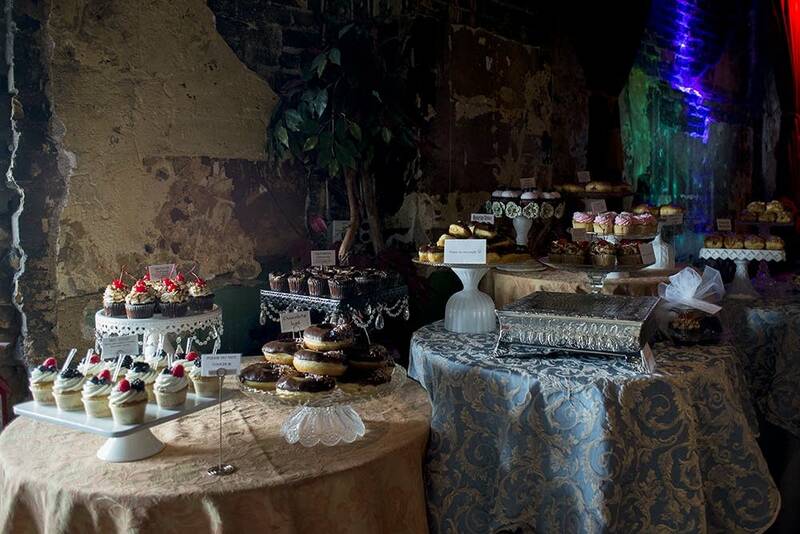 At many venues, couples must use an appointed catering service. Both the Varsity and the Grand Hotel require that their in-house catering be served. 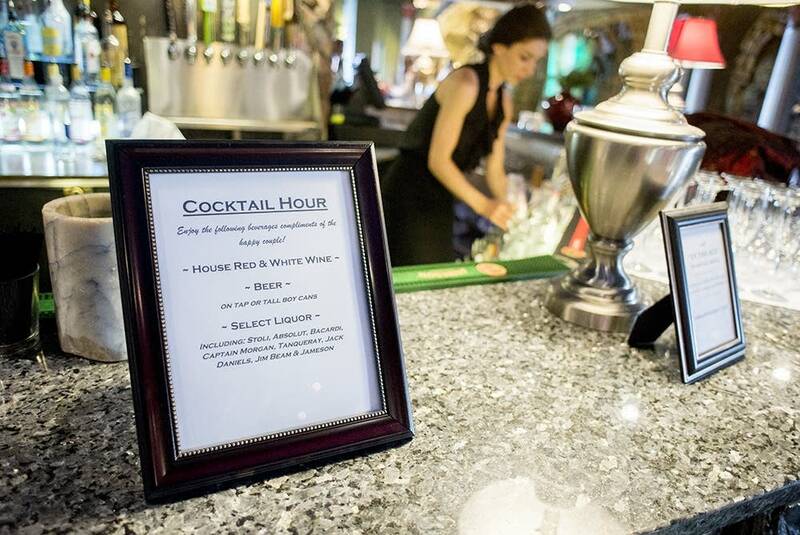 Venues are more and more conscious about dietary needs these days; though one vegetarian option used to suffice, accommodations for gluten-free, dairy-free, and vegan guests have now become much more common. The exception to that rule is the wedding cake or dessert. 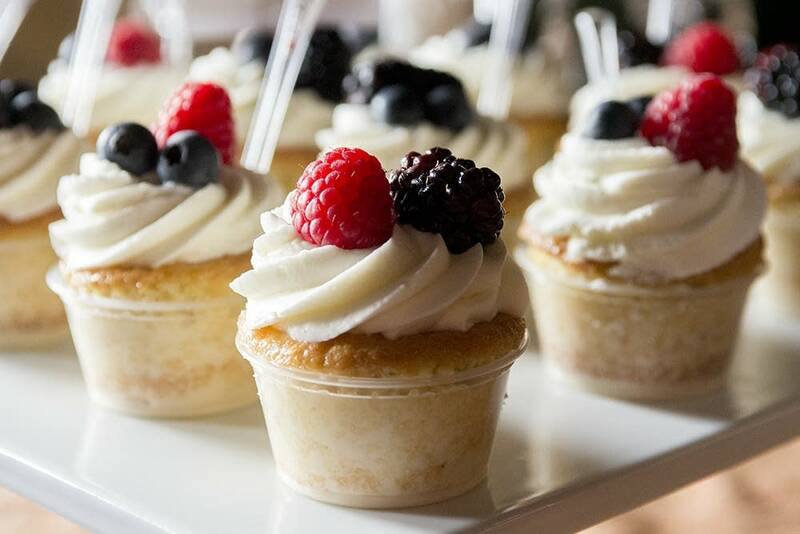 When I was at the Varsity, Angel Food Bakery supplied treats like maple bacon donuts and brownie sundae cupcakes; Angel Food is one of the Varsity/Loring's preferred dessert vendors, but the Loring has some sweet options, too. Galera added that family favorites like Swedish cakes and French croque-en-bouches sometimes take the place of buttercreams. "There's always something happening," said Seymour about her venues' packed events calendar. On the logistics of booking shows and weddings in the same venue, she explained that it's less of a challenge than it seems. "We have one master calendar that we work off," she said, and since couples and bands both book the Loring/Varsity months ahead of time, everything tends to work out. Even though Seymour is a concert fan, she had to acknowledge, "Weddings are definitely my favorite kind of events." Cecilia Johnson is a writer, server, and historian in the Minneapolis-St. Paul metro. Her favorite things include enjambment lines, Norwegian milk chocolate, and being able to pick the music.